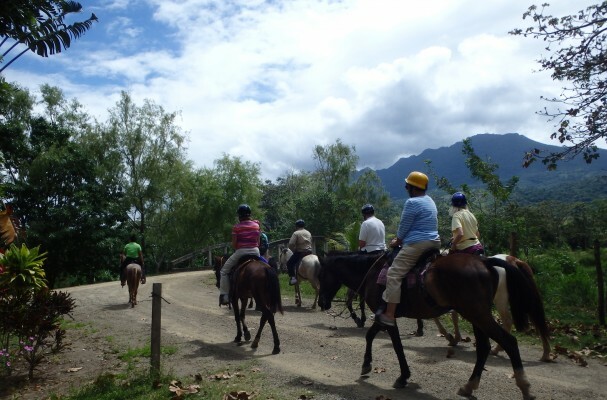 Upon arrival at the stables at Campamento, you’ll be greeted by expert guides who will assign you a horse for the day, distribute protective helmets, help you into your saddle and offer brief instruction to ensure your safety and comfort. Once you’ve become acquainted with your ride, you’ll follow your guide on a slow trot on the trail. Trot alongside the beach as you head towards Campo del Mar where you’ll tie up your horse and experience the best of Honduran nature. Board the park trolley and explore the 22 acres of Campo del Mar’s Nature Park, where you’ll see the Botanical Gardens. Afterward, mount your horse to head back to Campamento’s restaurant, complete with a full bar for purchase. Swimming is optional at Campamento’s beach and pool. Participants must be at least 12 years of age, at least 4 feet tall and in good health. Minimum weight is 60 lbs. We recommend you wear your swimsuit, comfortable clothing, long pants, closed-toe shoes, sunscreen, insect repellent and bring a towel. Horses will not go in the ocean. This tour is suitable for riders of all experience levels, including beginners. This tour is not recommended for pregnant women or those with back/neck, leg or hip problems. All participants must sign a waiver prior to riding. 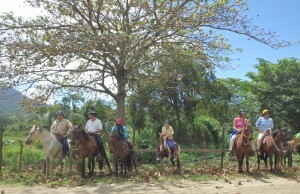 Trujillo was so awesome friendly people so beautiful and I went horse backing down the beach and in the jungle. It was beautiful. 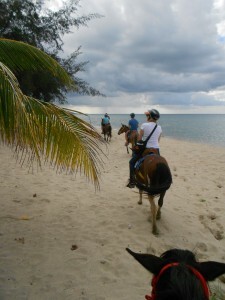 We went horseback riding on the beach. Lovely people there. I hope to go back soon.